If you’re remodeling your pool deck, patio, or driveway, travertine pavers are an option you may want to consider. They offer a ton of benefits like being eco-friendly, durable, and heat-resistant. Travertine is a limestone-like material derived from calcium carbonate which is naturally deposited near mineral and hot springs. While limestone is solid, travertine is porous with tiny pitted holes formed long ago from gas bubbles. The holes are usually filled with cement or another material during the finishing process. Travertine is nature’s solution to outdoor living. It’s perfect for use around a pool area because it repels the heat from the baking hot sun making it comfortable to walk on barefooted. It’s available in in slip-resistant finishes which is a huge safety feature. It’s quite durable so it holds up not only to all the abuse being pool-side can dish out, it withstands extreme weather conditions too. Travertine can be laid much like concrete or is available in interlocking pieces called travertine pavers. Pavers are ideal for walkways, driveways, sidewalks, and especially for pool decks. It’s safe, cool, and smart too. In the event a section gets damaged, there’s no need to demolish the entire surface just to make one small repair like some other surfaces require. Simply replace the individual paver. Travertine enhances your decorating scheme. You’ll be pleasantly surprised how many options there to choose from like texture finishes, colors, and patterns. Whatever look and feel you want can be achieved by your choices such as dramatic, luxurious, or relaxed. There are different travertine finishes, each with their own advantages. They vary in style and in price too. Of them, Chiseled and Honed and Tumbled are the most popular. A honed surface is semi-polished. A machine which steel chains is used to achieve the effect by distressing the edges for a random, chiseled appearance. It is a popular finish for pool decks, patios, and driveways because the surface has a sleek and smooth look. 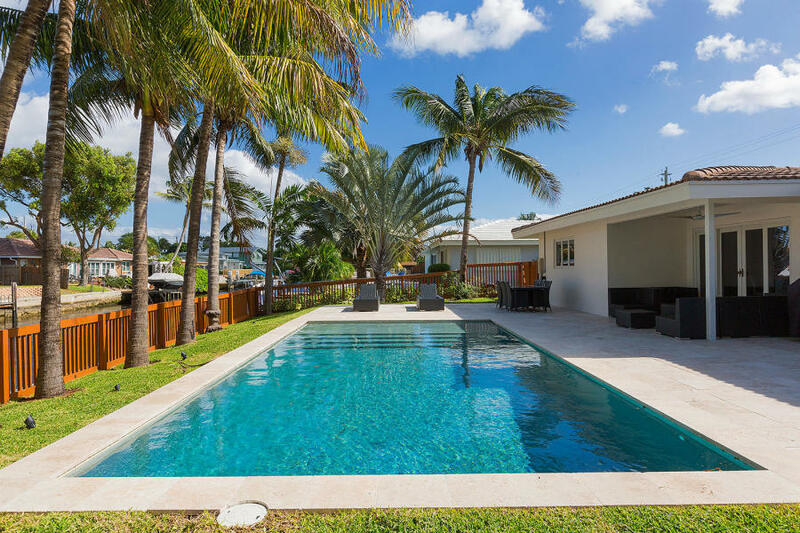 The surface becomes slippery when it’s wet so it’s not used too often around a pool unless it’s treated with a slip-resistant coating. This is a type that’s preferred by many because it is so strong. During the tumbling process, the stone undergoes such stress that it’s can basically survive anything that can be throw its way like weather, standing water, and even the challenge of continually being driven over by vehicles. There are two main cuts used when it comes to producing travertine pavers. When the cut is made against the bedding plane which is along the actual vein, it’s called a vein cut. This type of cut gives it a linear look or pattern. The fleuri cut is a cut which runs parallel to the plane of bedding. This cut creates a random, often circular, pattern. 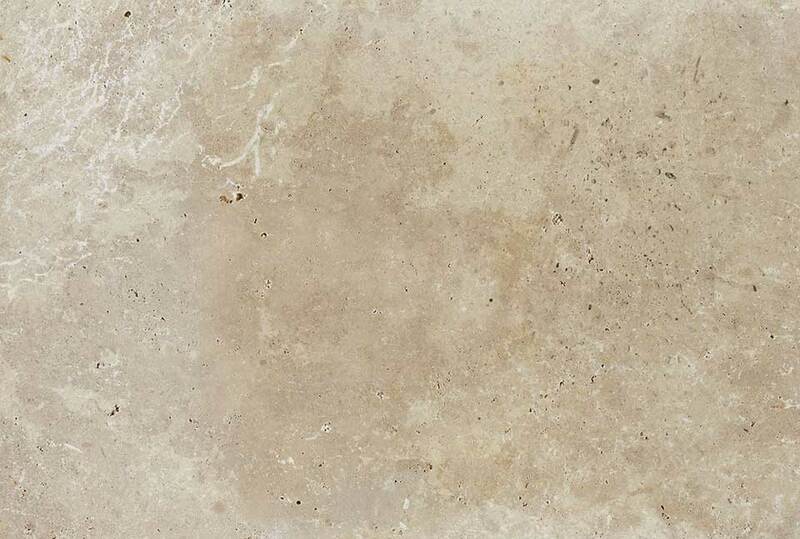 Travertine comes in three quality grades. The first grade is the premium and is, of course, the most expensive. The second grade contains a little more filler than the first grade but is still held to a high standard. The third grade is a cost-cutting quality. While still good, it is less expensive and is widely used commercially. When nature provides remedies, she does it in true style. Such is the case for pool remodeling dilemmas. If you are wanting comfort, safety, and a wide variety of styles to choose from, with Travertine, you’ve got it all. You’ll even get to decide how much you are willing and able to pay for it and to choose within those boundaries. Travertine has your pool area covered...naturally.